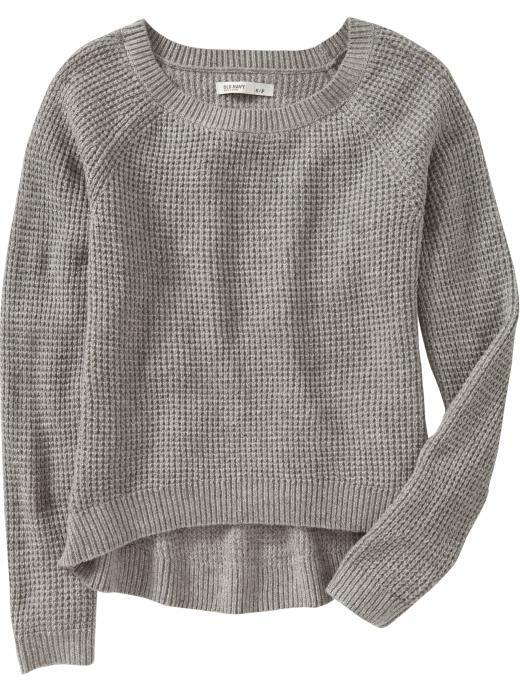 For our latest edition of Cheap & Chic, we found this grey waffle-knit sweater from Old Navy. The fit is loose without being baggy and fitted without being tight. We love the uneven hem, which is longer in the back; it adds an effortlessness to the overall look. At under $25, this is an amazing find! Styling Tip: Pair it with colorful or printed denim to be on trend for spring & add bold statement jewelry to complete the look.